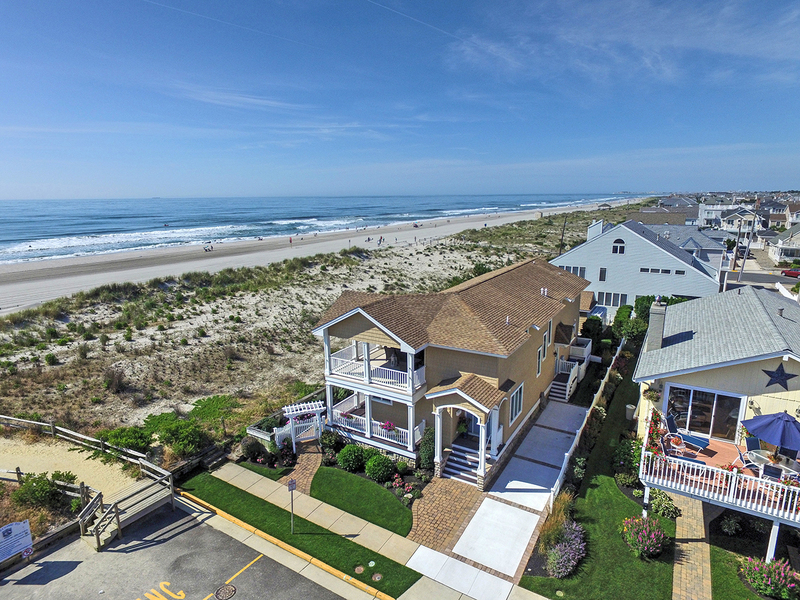 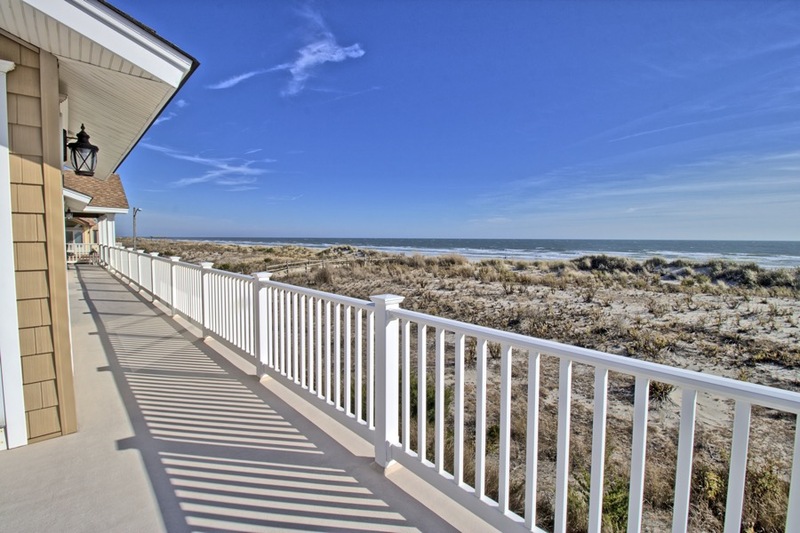 OCEANFRONT, COMFORT, AND LOCATION MEET in this RENOVATED, oceanfront home with 110 feet of ocean frontage with "take your breath away" ocean views. 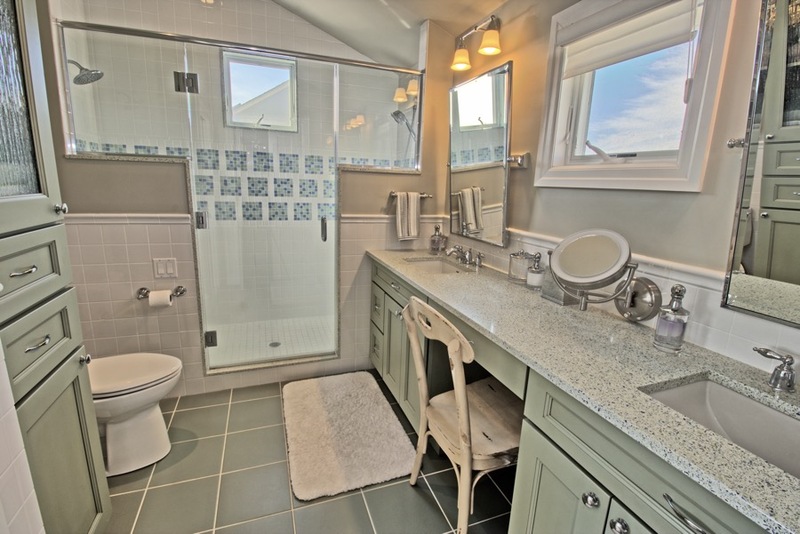 The upside down design allows five bedrooms (four with ensuite baths) and a beautiful powder room to service the main living area. 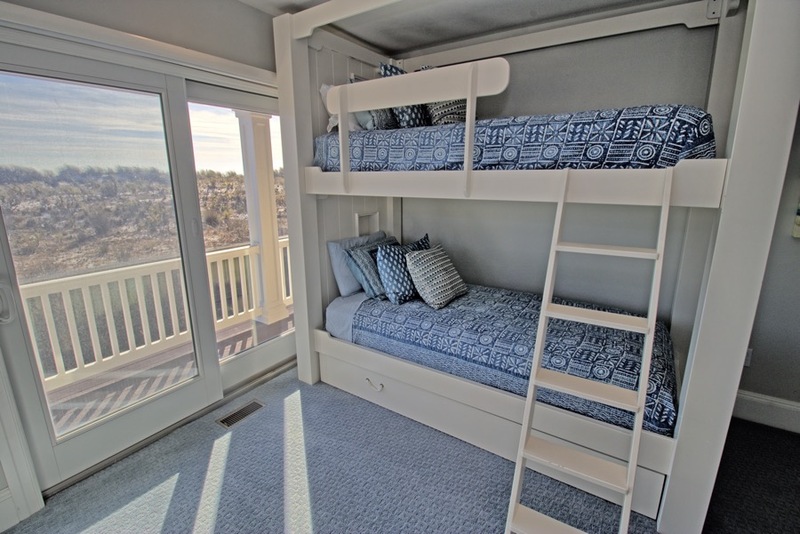 The first floor bedrooms consist of one bedroom with a set of bunk beds and ensuite bath, another bedroom with a king bed and ensuite bath, third bedroom with a brand new full size sleeper sofa, and a fourth bedroom with 2 queen size beds and ensuite bath. 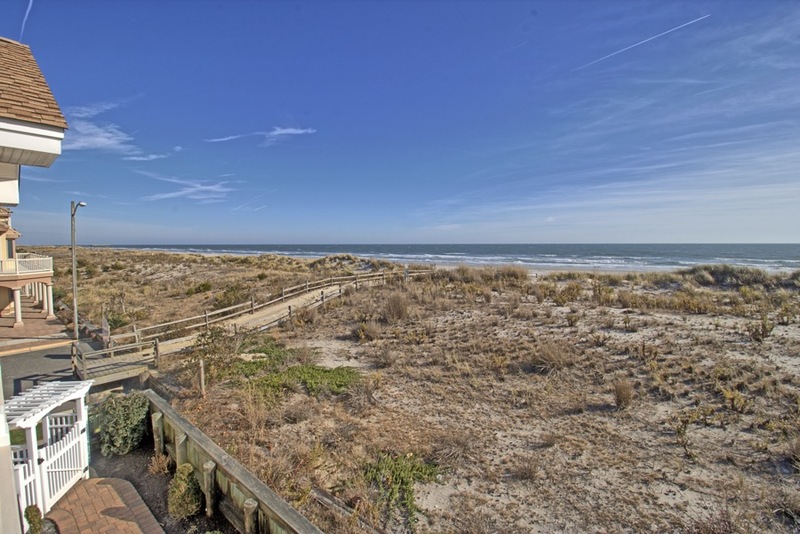 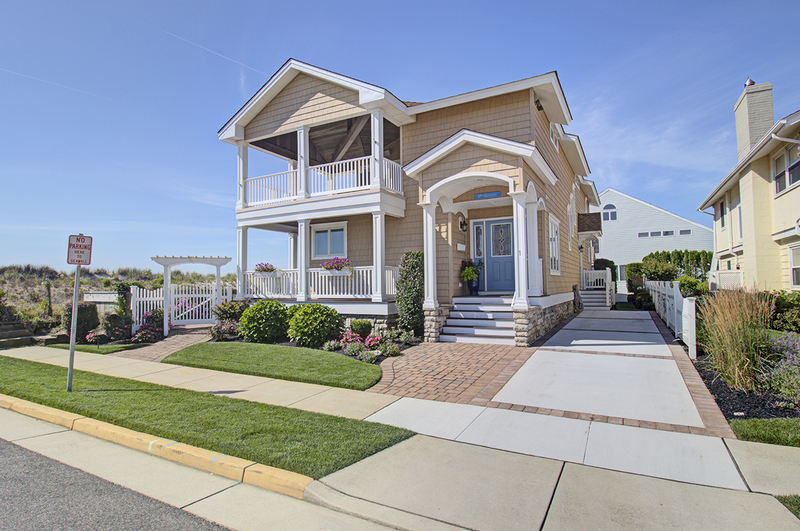 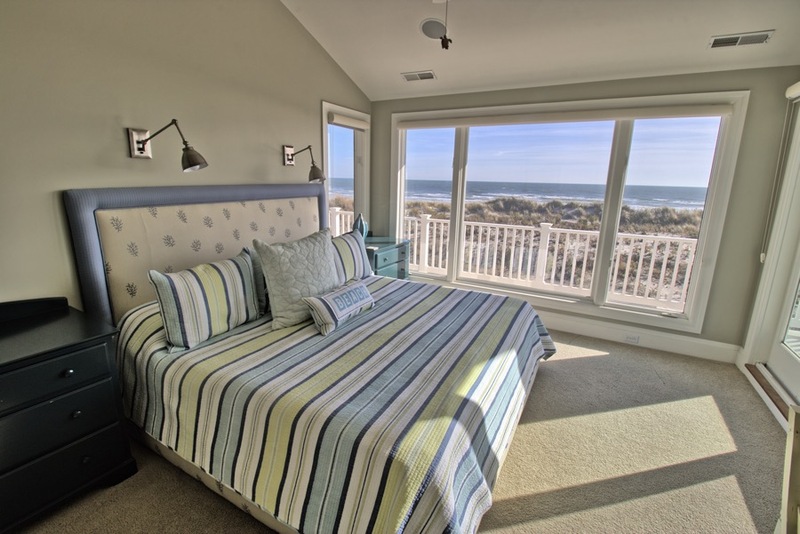 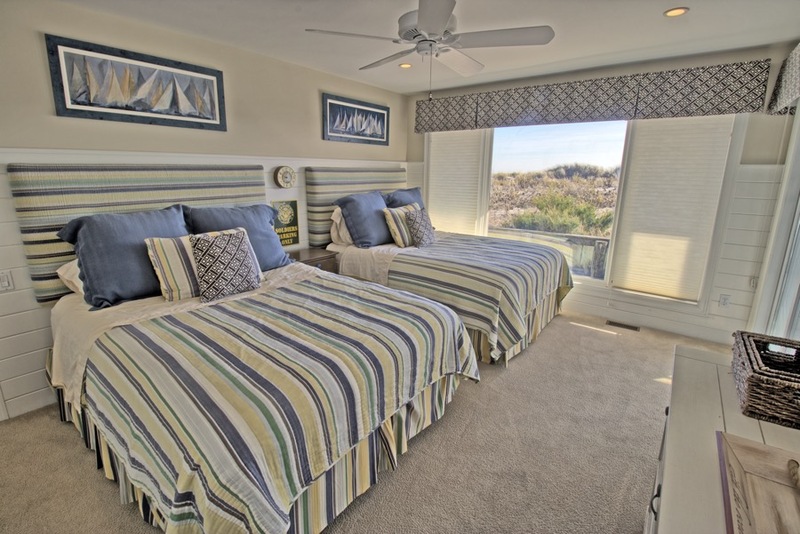 There is a fabulous three season room on the south side of the home that overlooks the yard and dunes. 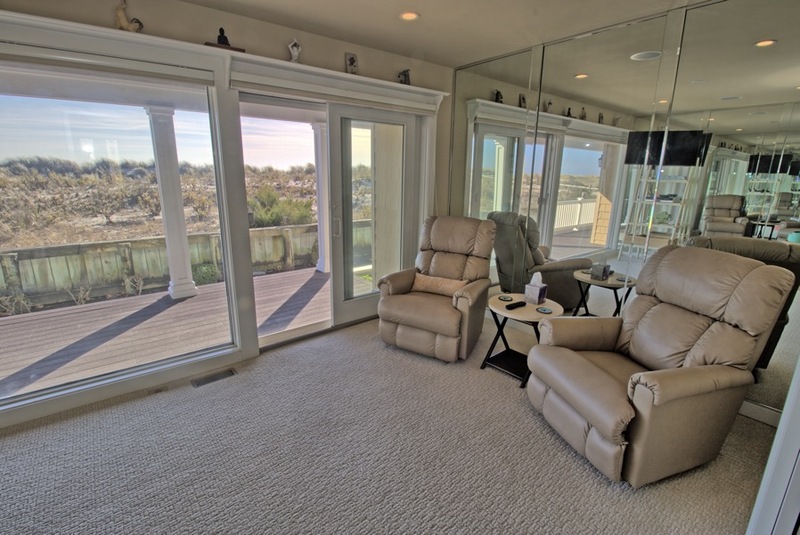 The second floor, vaulted great room has sensational views, Brazilian cherry floors, a wall of glass allowing beautiful natural light and direct access to an expansive east facing deck, beverage center with refrigeration, large wine chiller, ice machine and premium coffee service. 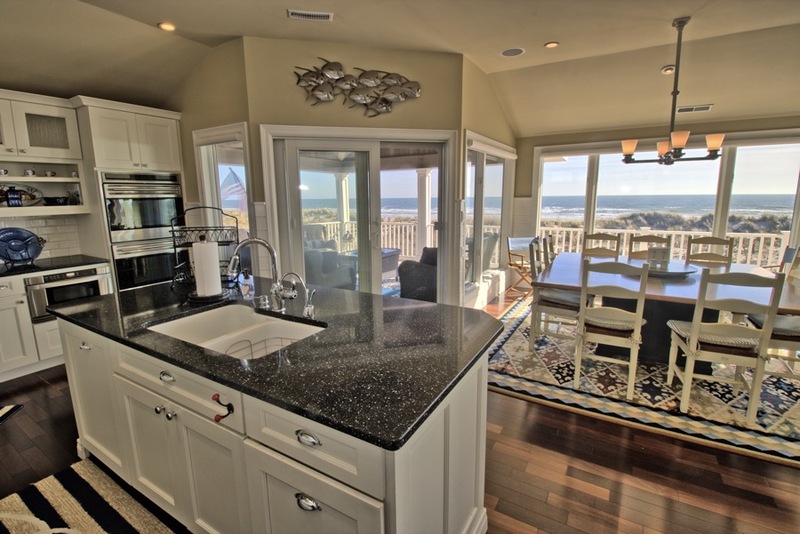 The chefs kitchen has a Wolf cooktop, Wolf double oven, sub-zero fridge, two sinks, dishwasher and dishwasher drawer. 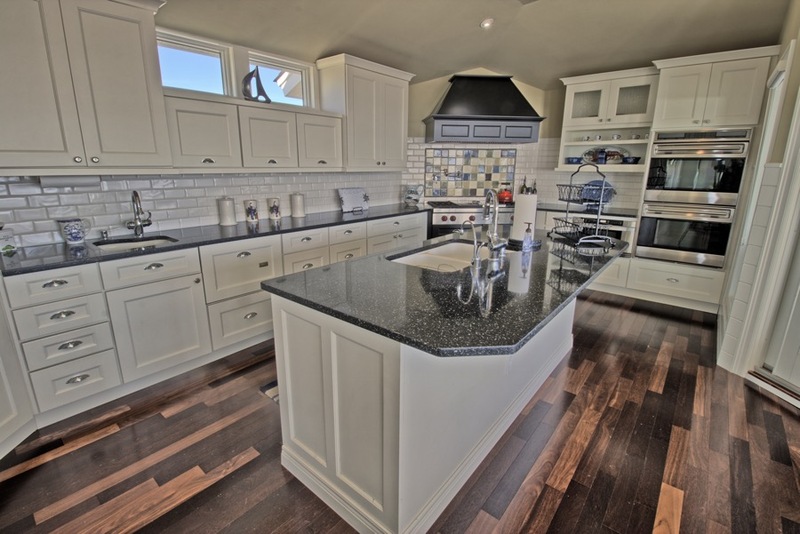 The kitchen has a large center-island, pot filler faucet and a beautiful custom tiled backsplash. 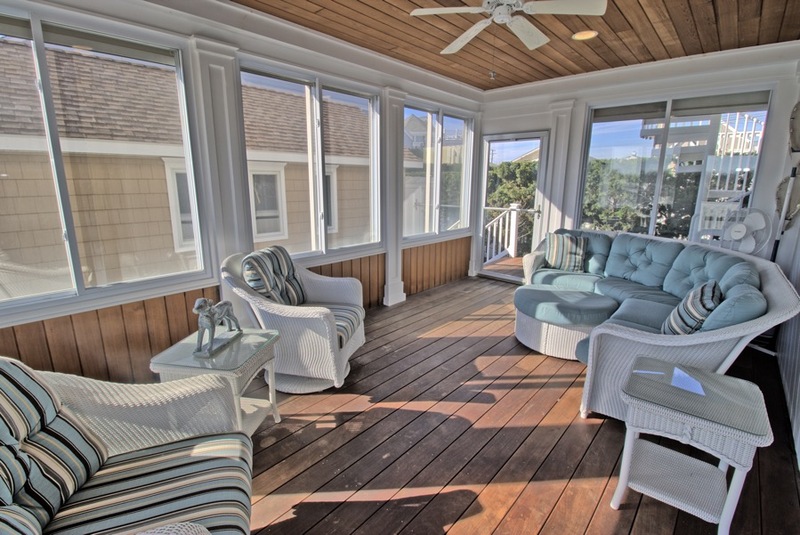 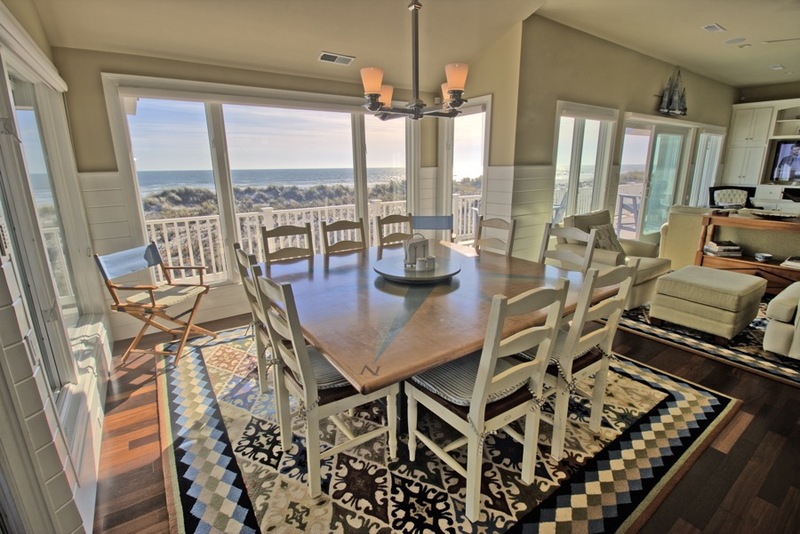 The great room has direct access to a dramatic, covered porch with wood ceiling and gorgeous ocean views. 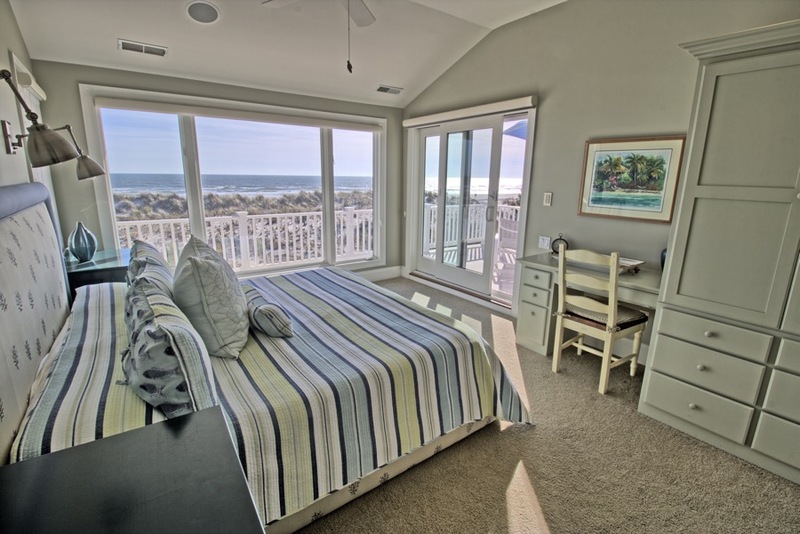 The south-side master bedroom has an king size bed, ensuite bath and direct access to a large, oceanfront deck with sensational views. 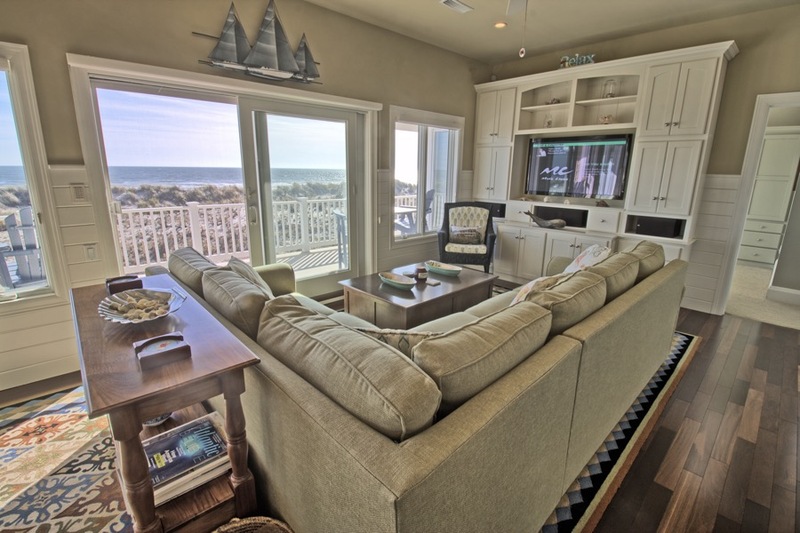 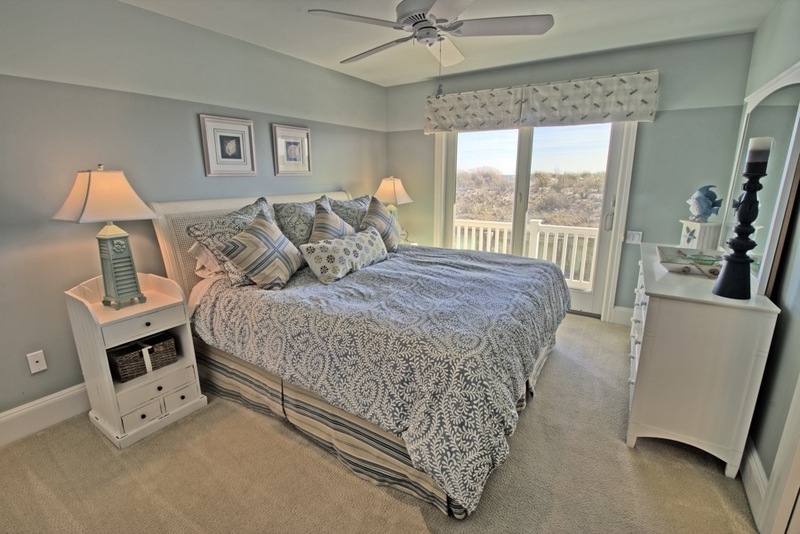 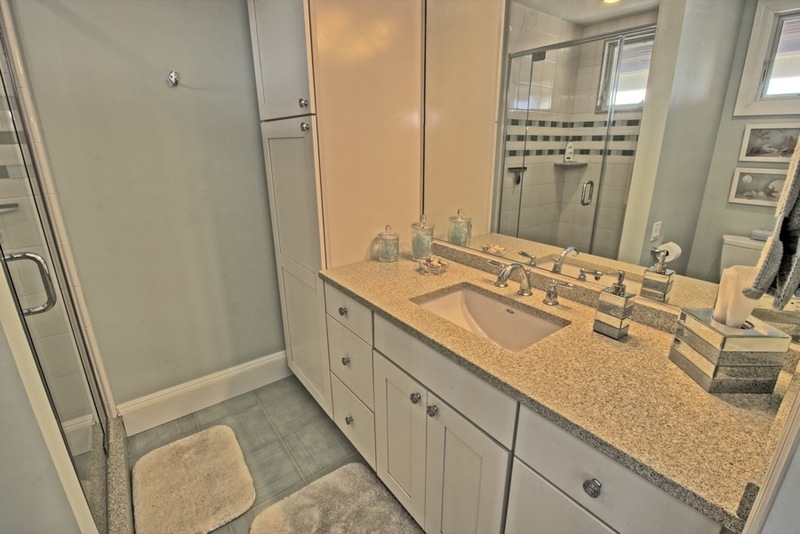 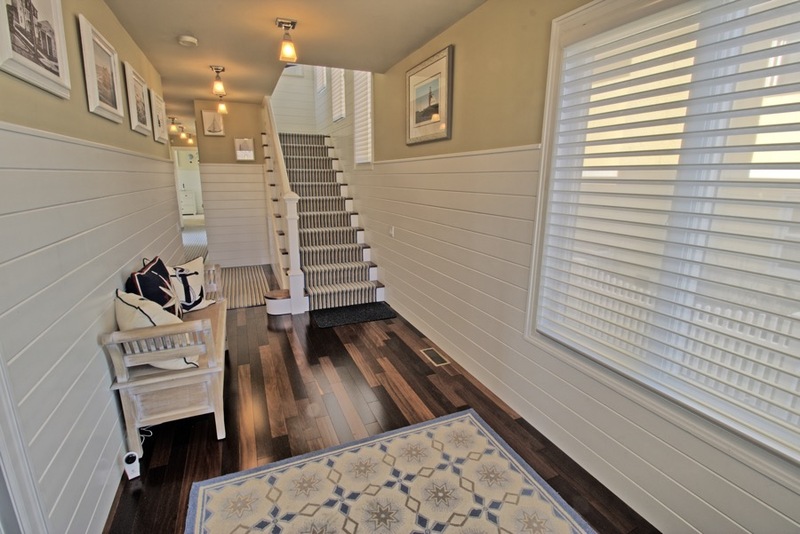 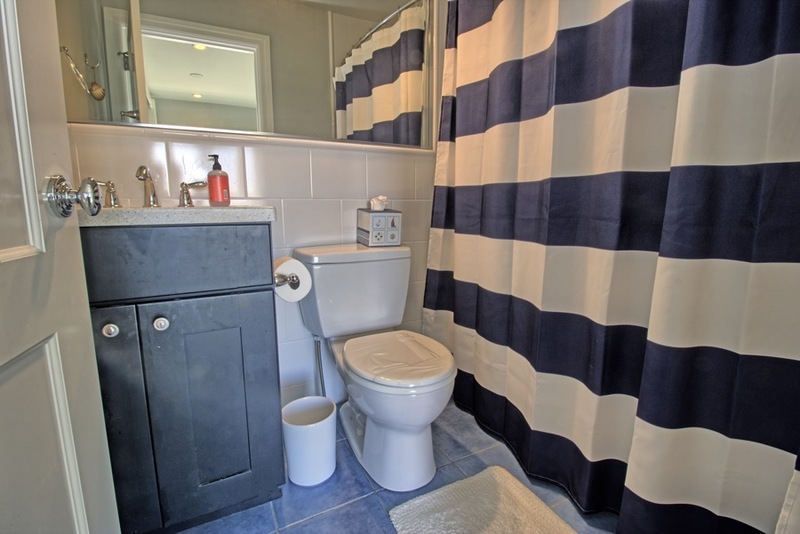 You will certainly enjoy the direct access to the beach as well as the comfortable stroll to town!